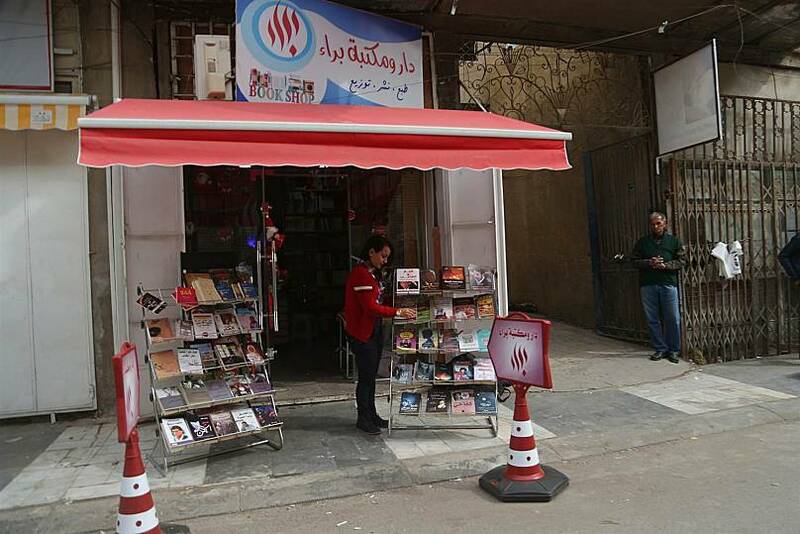 Bara’a Abdul Hadi Mudher al-Biyati is the first woman to run a shop and publishing house on al-Muntanabbi Street, home to the Iraqi capital’s historic book market. Named after a 10th century Iraqi poet, al-Muntanabbi Street is the literary heart of the city, and until recently, its bookshops and stalls have been run by men only. “I didn’t think at all of how others would look at me,” said al-Biyati, a 29-year-old who wears red lipstick and nail polish, as well as Western clothing. “I was only thinking of the fact that I am achieving something when I convince someone to buy a book from me." Like many of her contemporaries in the West, al-Biyati started her career with an unpaid internship of sorts. She graduated from college in 2011 with a degree in engineering, but struggled to find a job. Born into a family that loves books and literature, she frequently visited al-Muntanabbi Street to shop for new titles to add to her collection. During one visit, she struck up a conversation with a bookshop owner. “Without thinking, I asked him, 'Will you accept me to work with you as a volunteer and take care of your social media pages? '” she recounted. He took her up on the offer, and for three years she managed the company’s Twitter, Facebook and Instagram accounts. 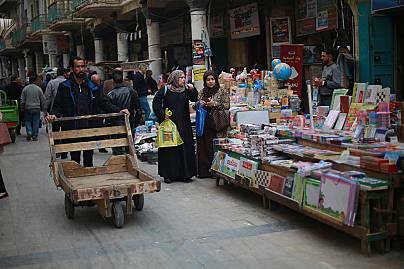 She also sold books at the company’s stall on al-Muntanabbi Street, which was the site of a March 2007 bombing that killed 30 and led to the area becoming a pedestrian-only zone. For her efforts, she received a copy of each book the company published. Last February, al-Biyati decided it was time to strike out on her own. With financial backing from her father, she opened Bara’a Bookstore and Publishing House. 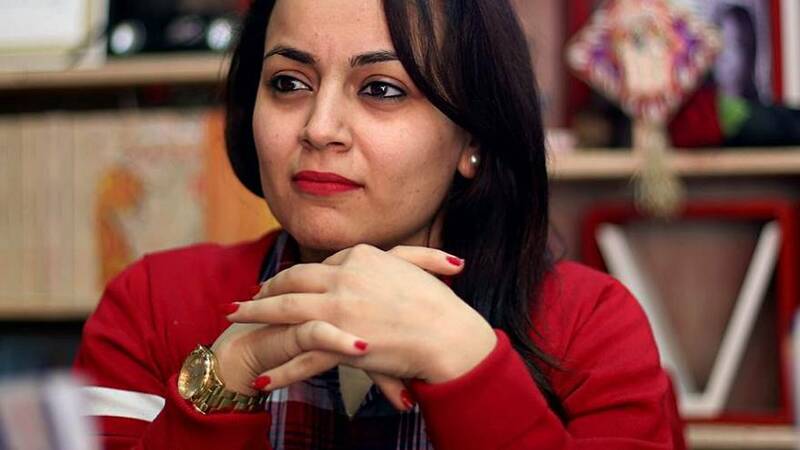 She’s now published six books that deal with themes of love and the role of women in Iraqi society. She plans to publish several more this year but said that she will stay away from publishing anything about politics or religion. Al-Biyati has received a warm welcome from fellow booksellers in the market. “She has all the ingredients of success — she is well-educated, popular, and the most important thing is that she loves the work she is doing now,” publisher and bookshop owner Abdulwahab al-Rawi said. Her efforts appear to be working, and she’s achieved a new prominence in this city of around 7 million. From her small bookshop, she broadcasts a weekly segment on local TV discussing newly published books. She also hosts “Bara’a is Reading” on her YouTube channel where she talks about books that have recently been published or translated into Arabic. Al-Biyati’s success is also a reflection of a changing Iraq. After the U.S. invasion in 2003, security concerns and the influence of religious leaders led to many women dressing more conservatively and staying off the streets. That’s changed over the last few years as the security situation has improved. 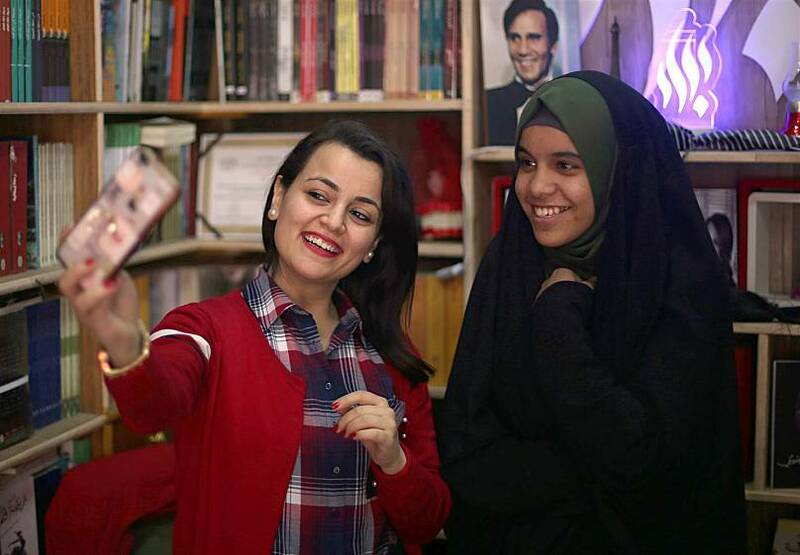 “I can come to the book market alone now, but four years ago I couldn’t," al-Biyati said. "Life has improved and I hope that it will improve more and more in the future." Her success has inspired other women in Baghdad to pursue their professional goals. “What she is doing has filled me with energy," Dina Khalid, 21, said as she browsed the books in al-Biyati’s store. "I’d like to follow her in her footsteps and have my own business in the future."